Google changed a lot about how Android Wear works in the 2.0 update. So much, in fact, it had to push back the release by several months. At I/O today, Google has announced some new developer tools that will lead to better watch face complications and wearable-friendly UI designs. Complications are the small data displays on your watch face, and Wear 2.0 brought support for third-party complications. Developers now have better tools to build those objects. There are two new classes in the Complications API: TextRenderer and ComplicationDrawable. The TextRenderer auto-fits text into defined boundaries, and ComplicationDrawable exists to handle all the basic styling for you. 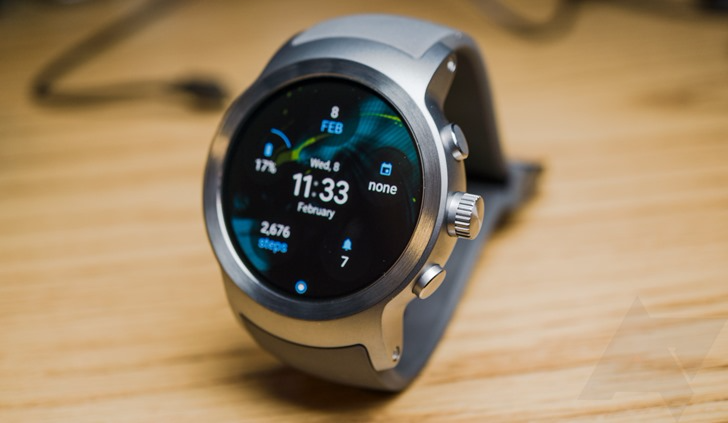 Additionally, Google has released an "easy watch face settings sample" and "complication test suite," both of which help developers make sure their complications function properly before deployment. Google is also catching up with regard to the overall design of wearable apps. Until now, it hadn't released any Android view components for building wearable interfaces since the 1.0 launch of Wear. So, now Google has opened up a new library of components that can be used to build apps that look at home on a Wear 2.0 device. All the new tools are available in the Android Support Library via Android Studio. Update your builds and you should have the new libraries.